Every day we’ll feature a different theme – something fun to help get you through the workday. The 80’s, Classic Rock, Movie Rock, Jazz… follow us on twitter to hear what the Special will be. Join Glith to unwind and kick off the weekend. We’ll play your requests and fire up some Star Trek Trivia! 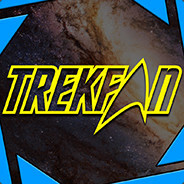 Join us on the TrekFan Discord Chat to hang out and play some Trivia with us! Glith fires up some great music from the Stage and Screen! Broadway songs, Movie Musicals, Film Scores… a relaxing way to wrap up the weekend on a high note.